You’re not me. I’m not you. No one is quite like anyone else. Ziel STT knows this, and developed their individualized approach to fill the gaps left by all other fitting procedures. Some are better than others, but none are better than this. We use the latest technology from STT Systems to perform a full-body, 3D, dual-side, real time cycling analysis. This report allows us to generate a comprehensive individual evaluation, which coupled with your personal preferences and goals and our extensive fitting experience will get you to your optimal riding position. 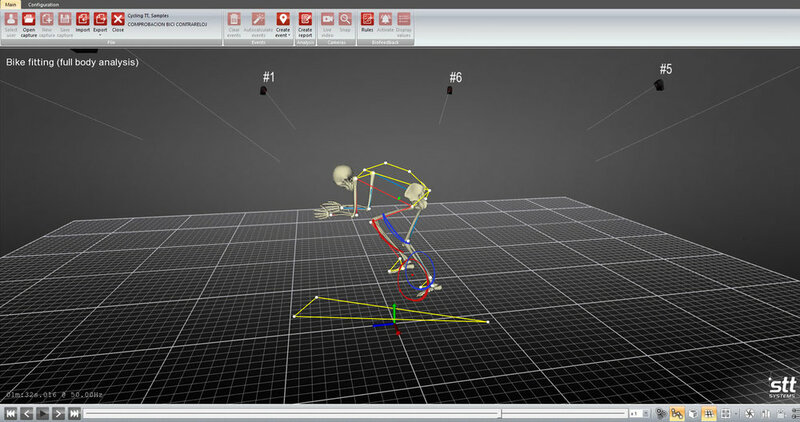 Real-time 3D reconstruction of the rider’s full-body motion. Real-time data on the rider’s motion: both sides at the same time.